Well, what an exciting week we have had, more great testimonials from happy customers, and more incredible results from our treatment sample in the shop. 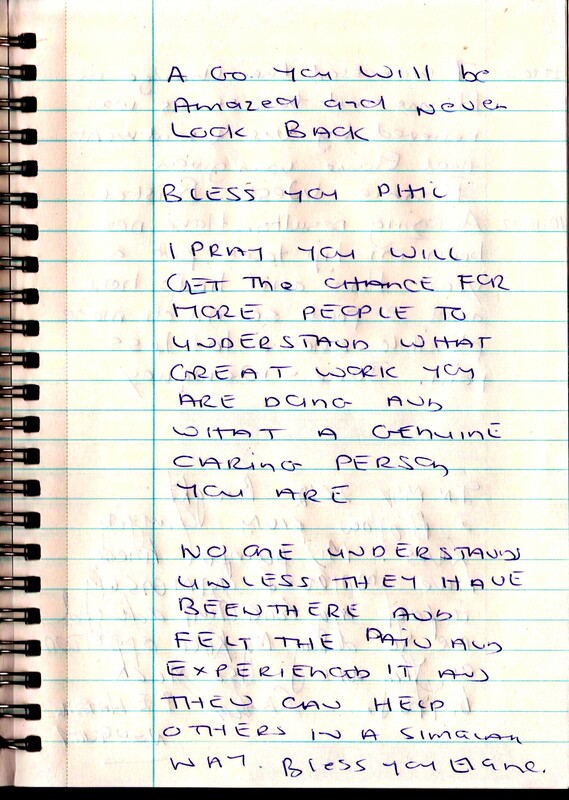 We have posted a couple more testimonials onto our ‘comments book 2’ page on Facebook. Several of the people we did our sample on were just amazed at the difference our treatment achieved. Plus we have put a testimonial from a previous customer who has written a great letter to us, namely Anne McCauley, who was in a terrible state when she first found out about us from a chance meeting by her mum and one of our customers who used to have fibromyalgia. 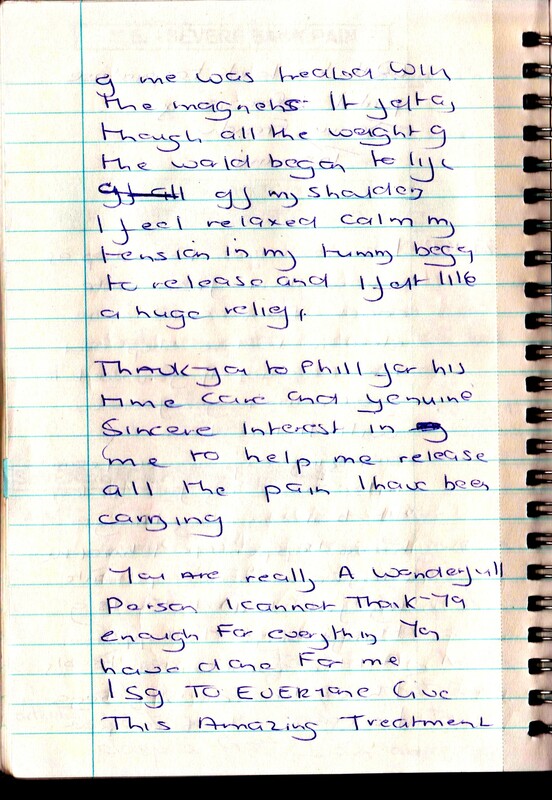 We treated Anne back in 2010, and she was in terrible pain, and extremely ‘stiff’ in her back muscles. She could only bend forward a few inches to give you an idea of how bad she was. It was one of our most successful ‘over the phone treatments’, where we treated Anne using products she had bought from us, and didn’t meet us for many months (Our ‘Global Treatment Service’ as we call it now). She was so much better after that treatment that she came down to have one of our ‘blast’ treatments, but for many months before that she was in too much pain to even leave the house. If you know someone in pain, please do not let them suffer any more, please get them in contact with us. Aside | This entry was posted in Pain Relief. Bookmark the permalink.